Buy extinct inks a Coffee. ko-fi.com/extinctinks - Ko-fi ❤️ Where creators get paid by fans, with a 'Buy Me a Coffee' button. Asia  ♍️  NB [they/them]  New England Full-time digital artist, part-time bartender just trying to support my family. 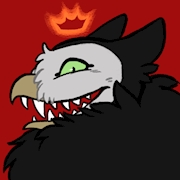 Specializing in weird, extinct and monstrous things, a dark sci-fantasy webcomic I'm working on with my partner, and some anthro and NSFW pieces here and there. Hi! If you put a suggestion for a drawing* into the message box when you buy me a coffee, I'll do my best to do a small drawing of it! *Basic ideas ("a cat with 3 heads and no eyes"), rather than detailed personalized OCs, please. Secured Payments. Support goes to extinct inks's account. 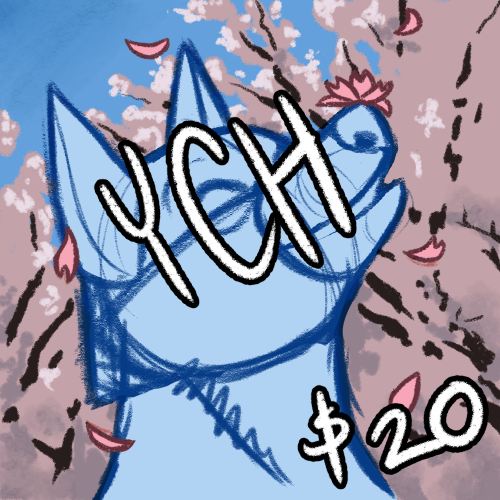 $20.00 Spring YCH avatar This is a YCH (Your-Character-Here) commission Furry OR Non-Furry OK! Background will not be edited. Please provide all specific details about the character/accessories or they may be left out of the final artwork. For any and all commissions, provide as many references images and/or as detailed a description of what you want and the characters featured as you possibly can. The more detail/reference, the better for me to understand your vision. Work starts once payment is received; if there is other work pending, you will be added to the queue. Generally, time to completion is anywhere from a day to two weeks, depending on the size of the work queue and how big/involved the project is. I do not offer refunds unless I am unable to complete the work for some reason. You are free to do with as you please with the final artwork, but I do ask that you do not remove my signature from the art and request that credit be provided when reposting the work.